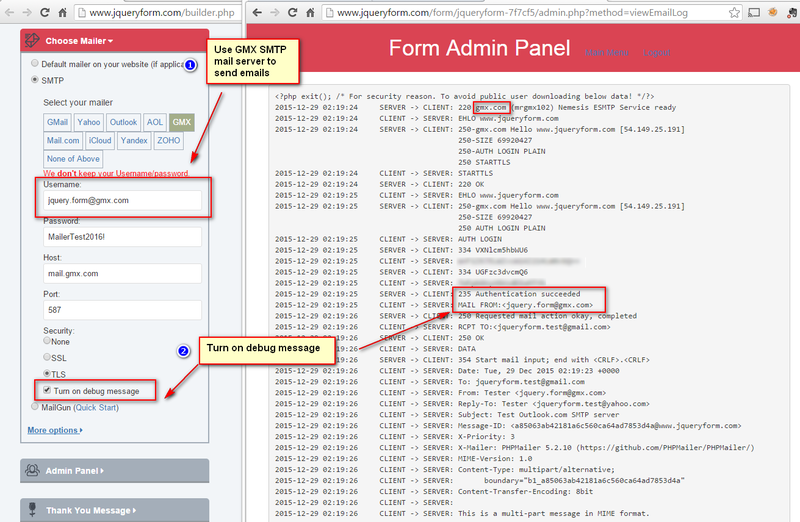 How to use my GMX account to send emails? 2015-12-29 02:19:25 CLIENT -> SERVER: ???? 2015-12-29 02:19:26 CLIENT -> SERVER:  boundary="b1_a85063ab42181a6c560ca64ad7853d4a"
2015-12-29 02:19:26 CLIENT -> SERVER: This is a multi-part message in MIME format. 2015-12-29 02:19:26 CLIENT -> SERVER: .